Make your friends respect your skill when they see your name blasting them the most. 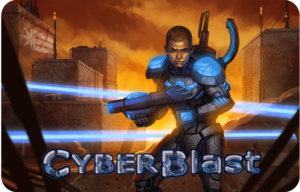 Look up your game history and rankings anytime online at playcyberblast.com. Step 3: Click "Create an Account"
Fill in the member info and select a home arena and avatar. Step 4: Join a game, new member! View your entire game history!